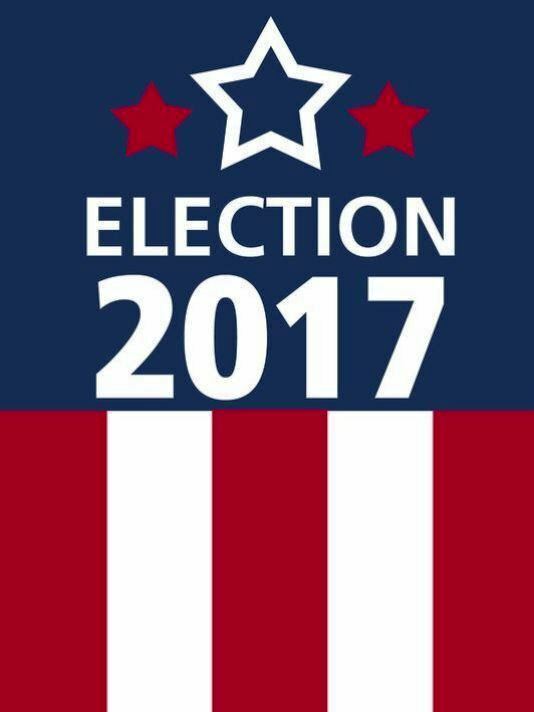 Thank You to all candidates who took the time and commitment to run for public office in our township & school board. It is one’s hope that all the winners will lead with transparency, accountability and fortitude to make Tredyffrin township and its schools even a better place to live. One of the first votes cast by the newly elected school board members was to hire a third party vender for special education. During the election process, voters asked those who were running, what issues were they supporting. For instance, we all support special ed, but it would be good to know how much funding is projected. That is, last year $20Million was budgeted. I respect the fact that special ed parents are very vocal and political. For instanece, this time last year, two parents petitioned the school board for Prinipal’s Bonuses. Then, during the Education Committee, those same parents petitioned the Committee for additional funding for Special Ed programs. In retrospect, it seemed like a Quid Pro Quo–I do this (support principlal’s bonues, you support my programs). And in fact, that is exactly what happened. Meanwhile, who is representing the other students? That is, programs have been taken away from the other students (cut from the budget)—do parents need to go to the board and support principal bonuses in order to regain programs? Once again, transparency would be welcomed. Ms. Whitlow went door to door. Outworked her opponents and had Trump, ironically, as an assist. As for the row offices, this is truly historic. To the best of my knowledge a Dem has never held any of those positions. If Trump supporters think the problem is that they didn’t embrace Trump enough, then they will have more stunning losses in the future. The trump effect was present in force in my local races. Two incumbent republican supervisors were overwhelmingly ousted by two democratic novices. This is a township that is heavily R and there were no contentious issues to sway voters one way or the other. Luckily, every school director had both the R & D designation. Clearly voters did not heed the title of your last post – “Vote for the Person not the Political Party”! While the country-wide “blue wave” sends a significant and arguably hopeful message nationwide and in the County, it certainly prompts different thoughts at the school district level. All the postcards, the commentary and the clear differences between candidates made absolutely no difference to the vote in any precinct and for any position except for Easttown institution and supervisor Betsy Fadem. Thinking of the future, it has been shown that new school members take time to understand the intricacies of district affairs. The well-organized TEEA lobbying effort and an administration with natural incentives to maximize revenues and employee compensation will carry much weight. So it seem likely that the maximum Index/Exception tax increase die is cast. And one year will lead to the next, as wage increases factor into subsequent Act 1 indexes and special education expenses increase with no indication that there will be any meaningful external oversight. And even then, likely there will have to be changes to programs to avoid an expanding deficit. Tonight’s Board meeting to vote on the contract Fact Finder report promises to be interesting. Will the union position be revealed? And congratulations also to VA District 12 state delegate-elect and CHS grad Chris Hurst who beat a three term incumbent in the Dem revolution in VA. There is a lot of responsibility on all newly successful candidates to fulfill our expectations for responsible, effective, caring and open government. Congrats to all the Democrats, especially Kyle Boyer. He conducted himself professionally and with grace, unlike his opponent. I have been a life long Republican. I have rarely voted for a Democratic candidate in my 27 years of voting. On Tuesday I voted for all Democratic candidates solely because of my disgust for the President and the party that nominated and caters to him. So, at least in my case, the Trump effect was the primary reason for the way I voted. “All politics are local”, that’s what I tell people when they ask me why I vote in “off year” elections and primaries. Who and What you vote for are seen and felt quickly, within months sometimes, not years. It’s a shame a lot of folks who came out yesterday cast their vote at the national level and are still fighting that fight. I don’t believe people honestly and objectively looked at the candidates and their platforms. Keep an eye on your local tax bill over the next few years, calculate the percentage changes. Watch as neighbors “down size” within the district or move out of the district/state as the last of their children enter or graduate from Conestoga. Will these “wins” feel as good then as they do now? It’s all “feel good politics” across the nation but the results are truly local: local state taxes, local school taxes, local home transfers. I really hope I’m wrong and that the newly elected officials are open minded to the LOCAL issues at hand and, if not, residents are open minded enough to course correct as needed. Are the other mainline townships like Radnor and LM just as conservative historically? That is why they are not elected for life. They will be held to account for their success or failure. Yesterday was about Trump. He is the leader of the R party and, frankly, has been a disgrace both as a President and as a person. Of course that effected the local races. Considering that (D) Brandon Adams, somebody no one has heard from (no posters, no campaign, etc.) won a supervisor spot in Easttown, I’d say it was a no-on-Trump election rather than person-by-person. And that is my point. The local election was about Trump and it should not have been. Like I said, “all politics are local”, and a lot of folks were narrow minded and just marked “D” across the board to feel good. And if they did it to “punish” local Trump voters that is just immature because a lot of Independents and D’s voted for him and and many R’s did not. Very, very short sited in my opinion…. keep local politics LOCAL. Several good local candidates didn’t stand a chance and it’s a shame. have you looked at your 401Ks? mine went up 30% since Trump was elected. Can’t wait to see Made in America! When the next 9/11 happens I will be ecstatic that President Trump is Commander in Chief! What is a disgrace is the criminality, money scamming and the ruin of the economy and race relations over the 8 years. What a mess the cleaning up continues to be…. There is a co-ordinated global expansion under way that has boosted all stock markets. Even S&P500 index companies that dominate many 401ks generate about half their revenues overseas. Trump’s policies care surely not aimed at helping companies in China, Europe, Brazil, etc. And to the extent lower corporate taxes from the Trump tax redistribution and deficit plan allow companies to pay out higher dividends/increase stock buy-backs, that’s at the expense of increased government borrowing costs and higher taxes over time for the middle class, especially those with high mortgage interest and high property taxes, as here in Tredyffrin. With an economy at full labor utilization, good ways to boost growth would be a sensible immigration policy, infrastructure investment and a higher minimum wage. And real investment to address opioid addiction. Not policies that exacerbate income inequality. Does this mean they found his replacement already? And granted a waiver of the 60 days? If so, wow, that was fast. Yes, he must have been granted a waiver — since it is about 30 days (vs 60 days required notification) from the time he resigned until taking office. The public was not told about Mr. Boyer’s replacement in the classroom.